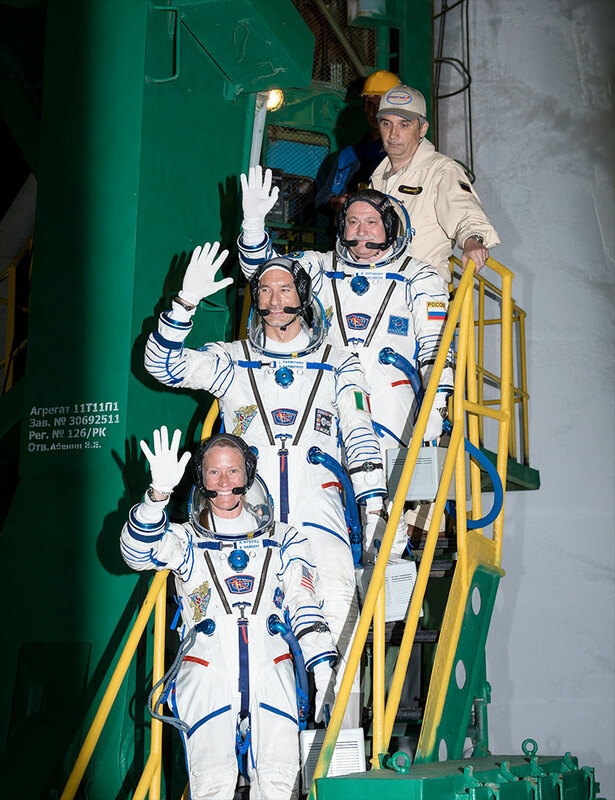 — The International Space Station received an express delivery of three new crew members Tuesday evening (May 28), a Russian, an American and an Italian, as their spacecraft docked to the orbiting laboratory less than six hours after their departure from Earth. Cosmonaut Fyodor Yurchikhin with the Russian Federal Space Agency Roscosmos commanded the Soyuz TMA-09M spacecraft that flew NASA astronaut Karen Nyberg and Luca Parmitano with the European Space Agency to join the station's 36th expedition. The orbital complex has been continuously manned with a resident crew of two to six astronauts and cosmonauts since November 2000. The trio launched from the Baikonur Cosmodrome at 3:31 p.m. CDT (2031 GMT; 2:31 a.m. local May 29), lighting up the night sky over Kazakhstan. 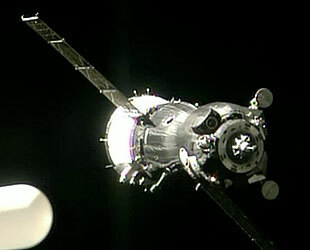 They docked to the space station's Rassvet mini-research module at 9:10 p.m. CDT (0210 GMT May 29). 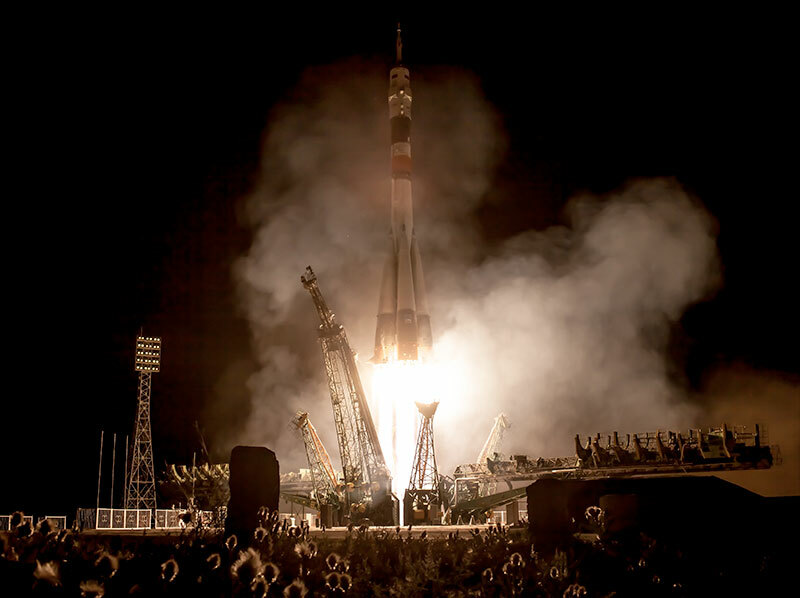 The 35th Soyuz spacecraft to bring crew members to the International Space Station (ISS), TMA-09M was only the second to fly an expedited rendezvous, abbreviating what had previously been a two-day trip. The six-hour, four-orbit flight plan, or scheme, was lobbied for by the crew. "We decided to take our own initiative and went to our management and we voiced our desire to fly and dock in four orbits," Yurchikhin said at a press conference held on Monday. "And only after three to four weeks after [Soyuz TMA-08M commander] Pavel Vinogradov proved that this scheme is [a] successful one, our initiative was supported and the management actually approved this scheme for our docking." 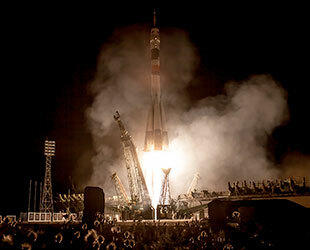 Vinogradov, with fellow Roscosmos cosmonaut Alexander Misurkin and NASA's Chris Cassidy, arrived on board the space station in March after a five hour, 45 minute flight. 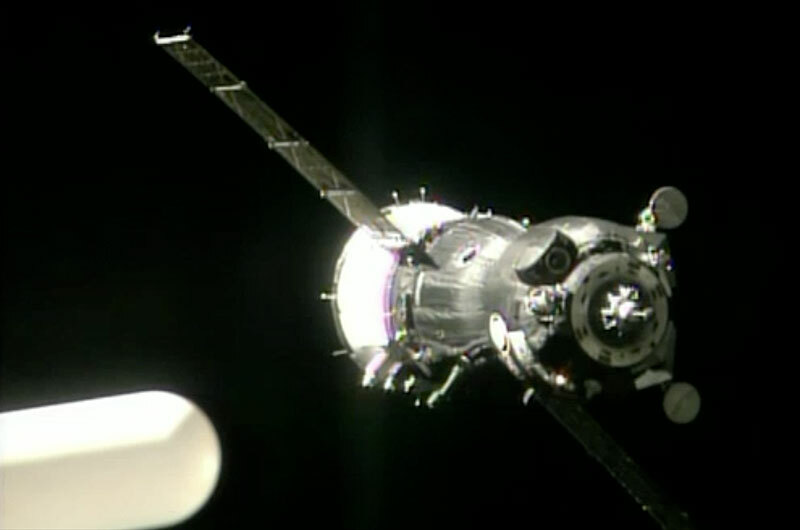 "[Your trip was] even faster than Pavel," Mission Control outside Moscow joked with Yurchikhin after docking. The TMA-09M crew beat the prior crew's time by six minutes. 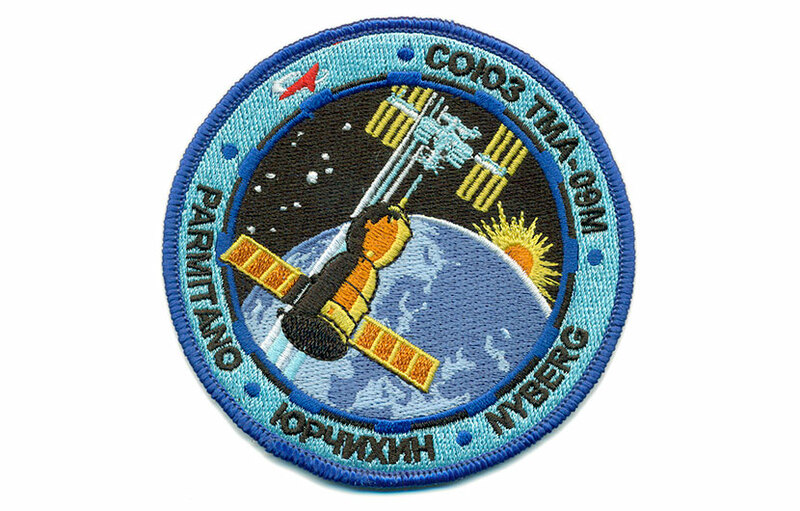 Yurchikhin, Nyberg and Parmitano are expected to stay on the orbiting lab until mid-November. They will transition to be members of the Expedition 37 crew under Yurchikhin's command when Vinogradov, Misurkin and Cassidy return to Earth in September. The next five months aboard the space station will mark a particularly busy summer for the station's crew. In June, Expedition 36 will welcome the arrival of ESA's fourth cargo craft, an Automated Transfer Vehicle (ATV-4) dubbed "Albert Einstein," followed at the end of the month by a spacewalk conducted by Yurchikhin and Misurkin. In July, Cassidy and Parmitano will perform two spacewalks, followed soon afterward by another delivery of supplies by a Russian Progress resupply ship. Later, a Japanese H-II Transfer Vehicle (HTV) will deliver supplies to the station, followed by two more spacewalks by Yurchikhin and Misurkin. And the crew may yet see the arrival of another cargo freighter, the maiden flight of the U.S. commercial craft Cygnus by Orbital Sciences. In between supply deliveries and spacewalks, the six crew members will also add several key science investigations to the more than 1,600 experiments that have been hosted on the station. The expedition crew will examine ways to maintain bone health, continue research into how plants grow, and test a new portable gas monitor that is designed to help analyze the environmental status in the station. The astronauts will also continue fuel and combustion experiments to study how fire behaves in space. The research will impact future space missions and could lead to cleaner, more efficient combustion engines on Earth. 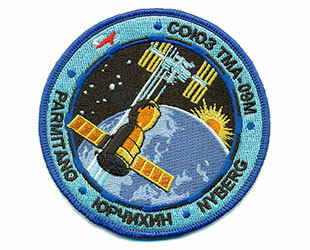 This mission marks Yurchikhin's fourth trip into space and his third stay aboard the space station. Nyberg flew once previously on board a two week shuttle flight. Parmitano is making his first spaceflight. He will become the first Italian to perform a spacewalk. The three will finish their stay in space by taking part in the torch relay for the 2014 Winter Olympics to be held in February in Sochi, Russia. An unlit torch will launch with the three crew members set to replace Yurchikhin, Nyberg and Parmitano on the space station in November. Before returning to Earth with the TMA-09M crew, the torch will be carried outside the orbiting outpost on spacewalk.